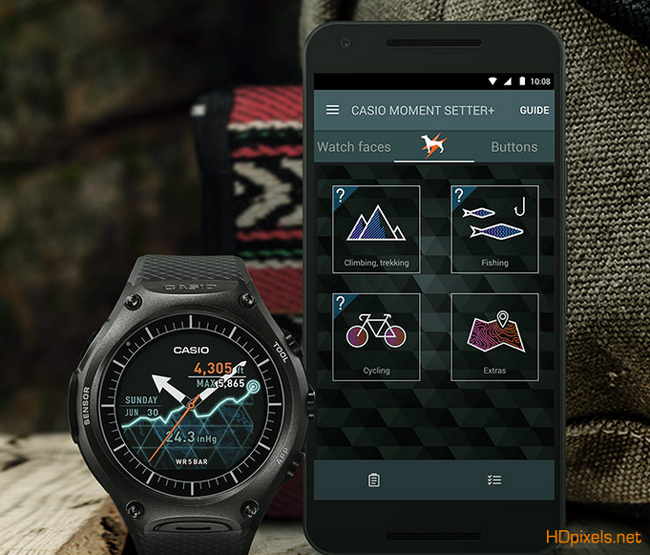 This is the new and first android wear smartwatch by Casio called "Smart Outdoor Watch" worth $500. We all love adventure and sports gear for adventurous trip, This smartphone watch is worth buying to every adventure lover. The 1.32-inch 320 x 320 display screen reminds you your sporty look of G-shock watch. Its a dual layer TFT LCD with monochrome mode that can extend battery life from from a day to a month. 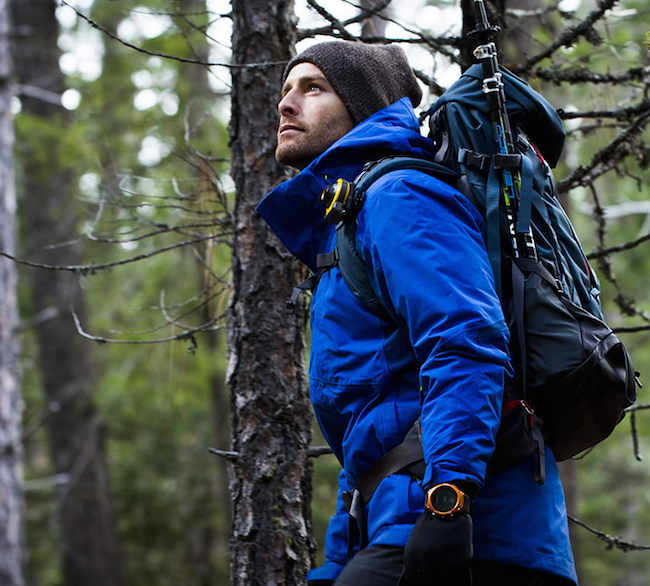 This smartwatch offers a wealth of useful for outdoor activities such as trekking, cycling and fishing. 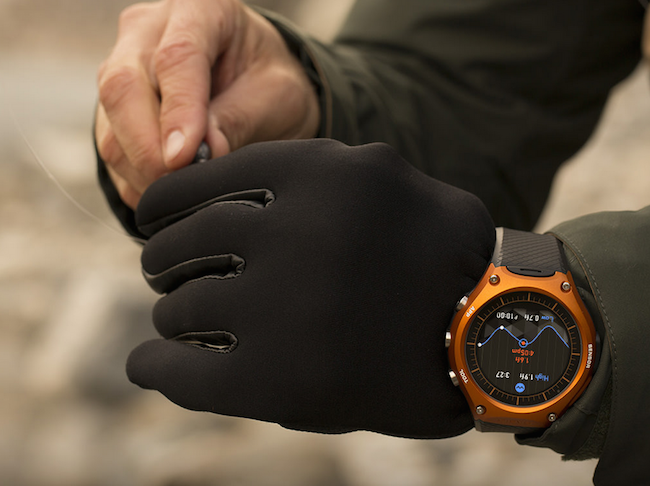 The new Casio smart outdoor watch, the WSD-F10 is best for trekking while staying connected to your smartphone, built-in sensors helps you give best directional, atmospheric conditions. 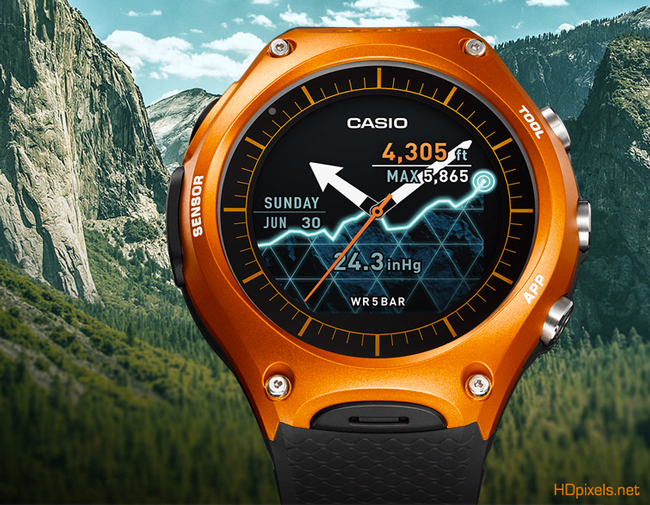 Keep going, enjoy care-free trekking and check the current outdoor conditions, the Casio's smartwatch receives automatic notification of sunrise/sunset times. The display the altitude remaining from your current position to the goal, the elapsed time and your travel speed in real time. 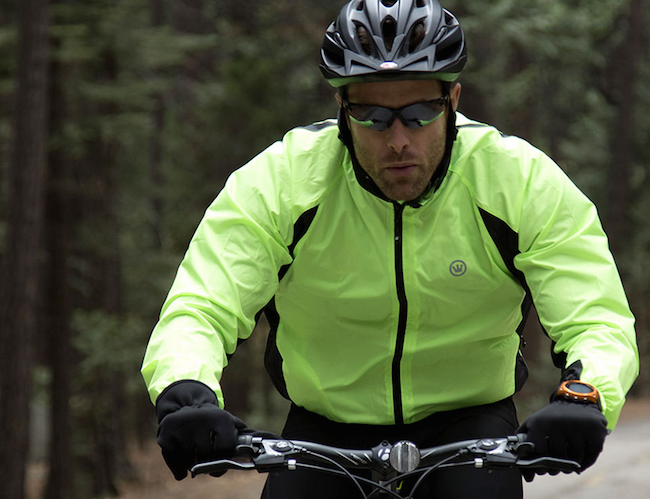 Whether on familiar roads or unknown highways place, ride with care-free confidence. 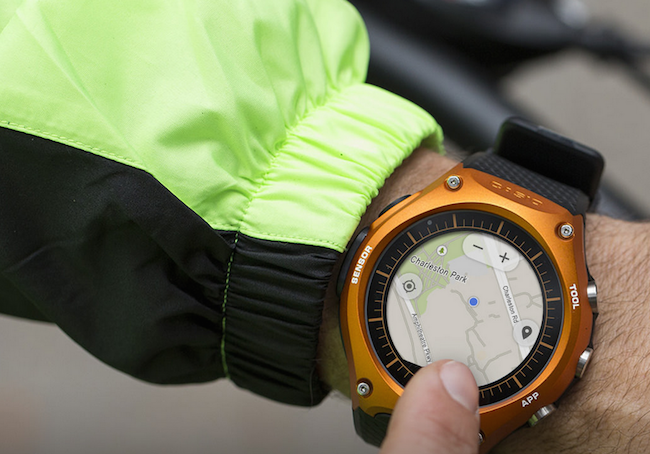 You can track your bicycle speed, distance and time on your wrist without taking out your smartphone. You can also track your destination on map to call up the best route. 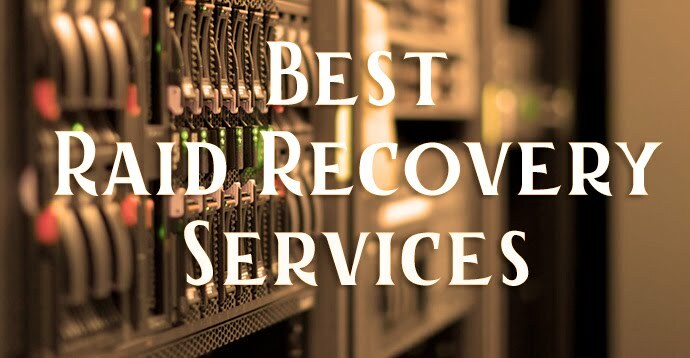 If you get lost or want to change the route, simply conduct a quick, easy voice-activated search on Google maps. Select your fishing method to suit the activity of the fish as indicated by the atmospheric pressure tendency and high and low tides on the day. Your movements provide you full functionality in atmospheric pressure and the ebb and flow of the tides. 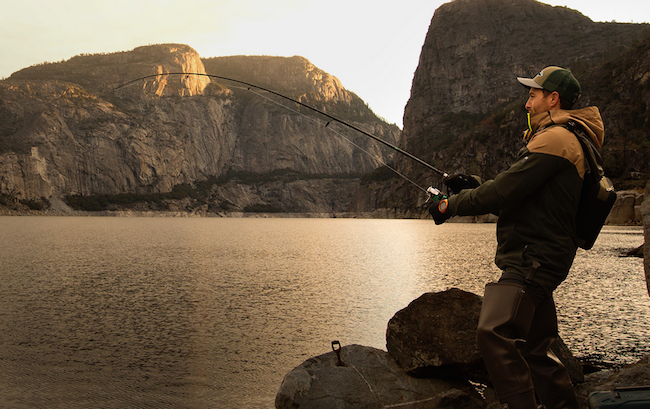 Your watch informs you when the fish are active and fishing is at its best.